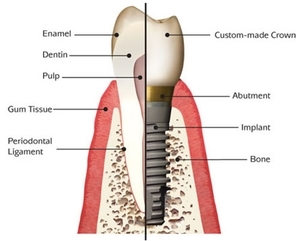 Dental implants are artificial roots and teeth that are surgically placed into the upper or lower jaw bone by our Board Certified Periodontist Dr. Gregory Burdo - a specialist of the gums and supporting bone. Dr. Burdo has performed thousands of successful surgeries as well as placed thousands of successful Implants throughout his career. The Zirconia custom crowns, created in our state-of-the-art laboratory, attached to implants are very natural looking and will enhance and restore your smile, asthetics and complete function! 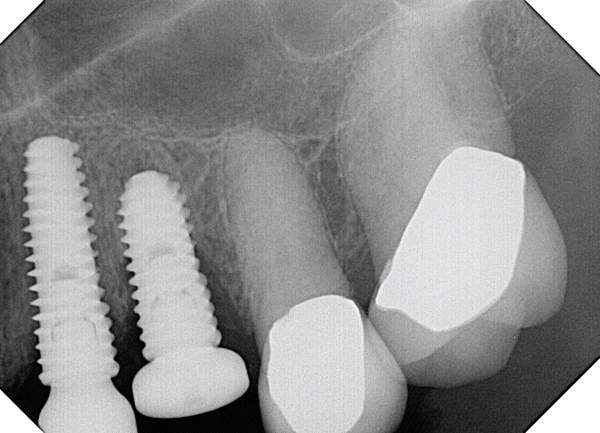 Currently we are offering unbelievable Grand Opening Specials on Implants, making them a cost efficient alternative to difficult root canal treatments/re-treatments and crown procedures as well as currently planned bridge work. Come in today for a free, no-pressure consultation to see if implants are right for you and to learn about the capabilities of modern technology paired with experienced hands. You will be surprised at how easy, affordable and pain-free Implants can be if done by the right professional with the proper equipment. Call Da Vinci Dental Specialists in Warminster and Northeast Philadelphia now (215) 383-6700 to schedule a free Implant Consultation with our Board Certified Periodontist! Artem (Office Manager) is available every day to answer any questions or to provide more information on implants, the steps of treatment or to answer any general questions about the practice. After several weeks of healing the Zirconia teeth are made and fitted to the post portion of the anchor. 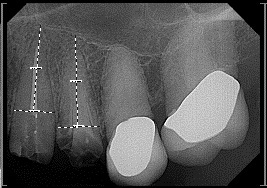 The Zirconia teeth are securely attached to the implant, providing excellent stability and comfort to the patient. Zirconia is a new, technologically advanced material from which it is possible to create a perfect fit and asthetic match in any case. Zirconia is also stronger than traditional porcelain/metal restorations and perfectly blends in with the existing natural dentition.